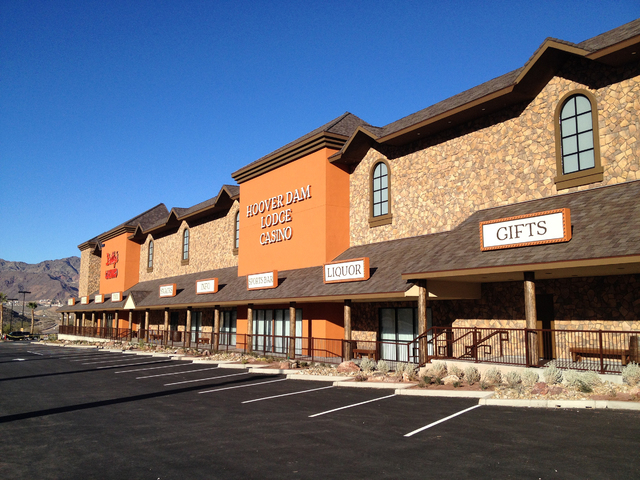 The front of the Hoover Dam Lodge is plastered with stone, a burnt orange trim and a line of windows that stretches along the entire the building for drivers to view as they travel up and down U.S. Highway 93. The property once known as the Hacienda has officially changed its name as Nevada Restaurant Services continues the complete renovation of the Boulder City staple. The rustic lodge theme had been in the works ever since the parent company of Dotty’s purchased the property in December 2013, but the local feel will remain the same, according to General Manager Steve DesChamps. There will be about 300 slot machine games once the casino is completely remodeled in the spring, and DesChamps said there are serious talks of adding live gaming to the mix. DesChamps has already brought on an assistant general manager with 25 years of table gaming experience to help with the transition. He said the area across from the bar can hold about five tables if they decided to go that route. About 50 percent of the property’s business is generated by residents of Henderson and Boulder City, while tourists make up the other half. With the local aspect in mind, DesChamps said all of the games are currently running 10 times points. He said some games will feature as many as 100 times points once they implement the promotion in the spring. 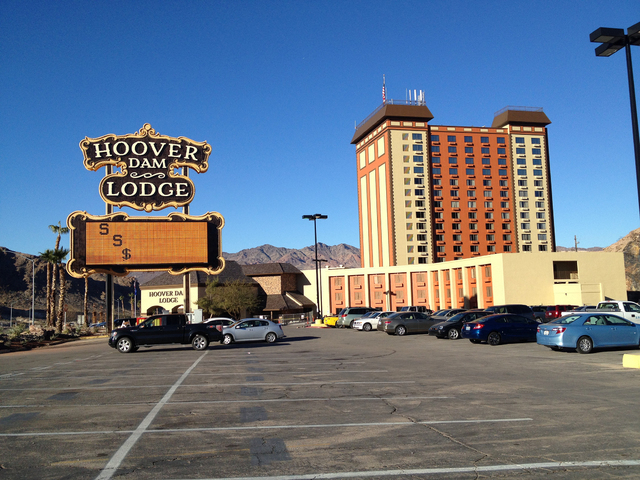 The same concept is being used at the Laughlin River Lodge, the property that Nevada Restaurant Services purchased six months after acquiring the Hoover Dam Lodge. DesChamps the Laughlin River Lodge also has a “wishing wall,” a 50-foot long wall filled with prizes that players can redeem with their points. He said the Hoover Dam Lodge will have its own “wishing wall” as well. Aside from the main casino floor that will feature about 200 machines, there will also be a Dotty’s on each side of the property. Each Dotty’s will have about 50 machines. Contrary to the conventional casino model where barely a blip of natural light can be seen, the Hoover Dam Lodge will showcase a multitude of windows that keep the casino naturally lit throughout the day. DesChamps said Dotty’s close-knit environment has helped transform the Hoover Dam Lodge into something more than just another casino in Southern Nevada. He said it trickles all the way down to getting to know each customer that walks through the door. “Everything about us is very convenient. You can be greeted here by name even if you’ve been here just a short period of time,” he said. DesChamps also said that the Hoover Dam Lodge’s players aren’t big drinkers, another aspect that caters to a friendlier environment. The rooms on floors 14 through 17 were fully refurbished during the first phase of the remodel, which was completed in September, and the rooms on floors 2 through 12 were upgraded as well. Their color schemes were meant to reflect the desert environment, and the use of reds, yellows and browns in each room mimics the mountain views outside. The cafe, the casino floor, the convenience store, and the renovated lobby that will include a large, stone fireplace with rock and timber throughout are expected to be completed sometime in the spring, DesChamps said.